Couriers are very busy on the road – it goes without saying, really. As such, the greenslip is a critical investment in ensuring that the courier is adequately protected when doing their job. When it comes to greenslips for courier, Discounted Greenslips is the number #1 resource. Courier businesses tend to have a large number of drivers, in order to fulfil demand, and as couriers become an even more popular resource for moving packages around the country (and more and more people turn to online shopping), the number of drivers in courier companies is ever increasing. For this reason, businesses looking to keep the cost of greenslips down can come to Discounted Greenslips for the very best deal – guaranteed. Price is performance with courier greenslips One of the great things about a greenslip is that it is easy to compare policies; as a compulsory investment for anyone on the road, the products being offered tend to be uniform in detail. This means that, in shopping around, the cheapest option is the best price; you’ll be getting the same cover for a smaller outlay. Over an entire organisation and courier fleet, these savings can add up. While we over the best value when it comes to courier greenslips, we also don’t compromise on service, and we are always available to answer any questions that you might have about your policy – before and after purchase. Discounted Greenslips has been operating for 20 years, and has become the courier greenslips provider of choice for many of the largest courier services in Australia because of our unrelenting commitment to customer service. So, whether you’re a small courier, a startup, or a large national player, the thing that you have in common as a courier is the need for a greenslip. At Discounted Greenslips you will get just that, with no fuss, and no unnecessary expense. Contact us today for more information. 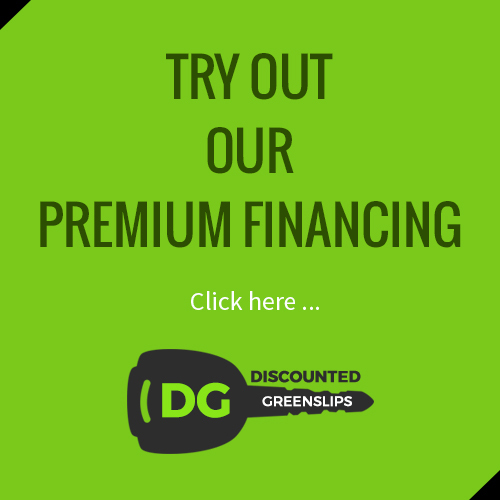 Discounted Greenslips has a long history in providing industry best rated for the compulsory third party insurance – or greenslips – to commercial operators. For tradespeople like electricians, being mobile on the road is a critical part of the job, making the greenslip an absolutely essential investment. At the same time, you never want to be paying too much for this essential greenslip. The way these products are designed is such that they’re standardised and uniform, and you’re not getting a better product in paying more for it. All that’s important when it comes to the greenslip is price, and that’s why discounted greenslips is the very best option for any electrician greenslip. By selling online and in large numbers, we are able to offer greenslips at the absolute minimum rate. We keep the overheads in our own business to a minimum so as to not pass the cost on to our consumers. To other insurance businesses the greenslip is one of many products, and often one that they’re not overly concerned about selling. To us, it’s our bread and butter, and this drives us to be more competitive than our competitors. While we offer the cheapest electrician greenslips on the market, we also understand that customer trust is important in insurance – no one would want to buy insurance from a business they can’t trust. We are always available to answer any questions that our customers might have, and provide advice on their insurance needs. Our goal is to get you properly insured and on the road in the quickest time possible, with the cheapest policy possible. For more information on our electrician greenslips products, or to speak to one of our expert team more generally, please contact us today on (02) 9630 8788.